Most of the plastic floating in the sea reaches the oceans via rivers. 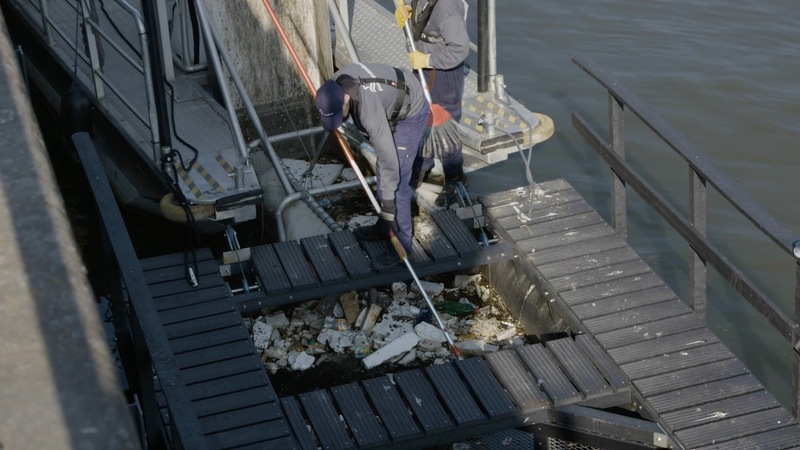 Carelessly thrown-away garbage gets blown into the water by the wind and has become a worldwide problem. The Audi Environmental Foundation and its project partner, the Recycled Island Foundation, are therefore starting at the entry point: More than 98 percent of waste drifting in water floats in the first meter below the water’s surface; most of it is actually in the first half meter. A specially developed plastic trap channels this waste, which is then sent away for recycling. Audi Brussels and the Port of Brussels have taken over project sponsorship for one of these plastic traps and installed it permanently after a successful test phase. The collecting basin was installed in the harbor basin and is emptied twice a week. The average amount of waste collected is one cubic meter per month. In order to raise awareness of the extent of plastic waste, the partners have made benches from the collected waste. Audi Brussels has installed such a bench at the entrance to the plant in order to sensitize employees and visitors to the problem. In addition to the collection basins, environmental education measures are the second focus of the project.